Data transfer from QIC tape. We received 2 of these tapes. One held a Windows Backup of office and word files. The second stored a PS2000 HR database. The client needed the files restored to a hard disk after the old tape readers were scrapped. In the end only the windows backup tape was readable as the HR database was in proprietary format. We did manage to save the raw data from this second tape in an image file (bit by bit or block by block copy of the raw data). The client then used that to easily send to out for data recovery. If you need a QIC tape transfer from 3M DC6150 cartridge service, then contact our friendly company. Data transfer from QIC tape. We received 2 of these tapes. One held a Windows Backup of office and word files. The second stored a PS2000 HR database. 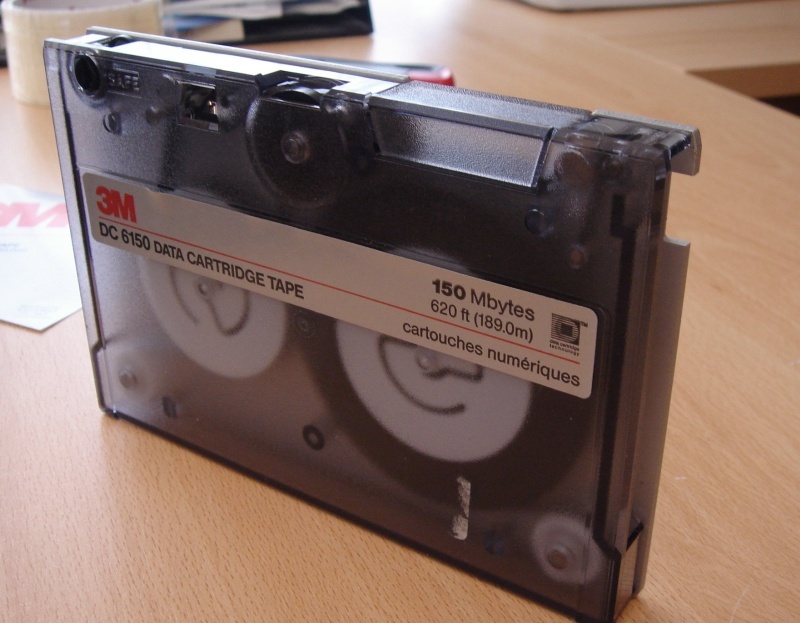 The client needed the files restored to a hard disk after the old tape readers were scrapped. In the end only the windows backup tape was readable as the HR database was in proprietary format. We did manage to save the raw data from this second tape in an image file (bit by bit or block by block copy of the raw data). The client then used that to easily send to out for data recovery..